This zippered pouch is 7 1/4 inches wide and 3 1/2 inches tall. It is unlined because the inside is pretty too. All inner seams are finished. 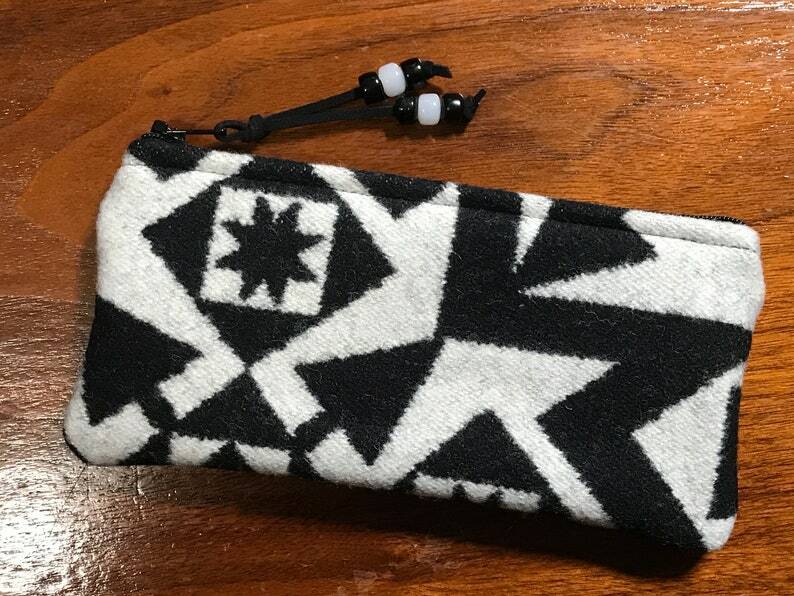 This zippered pouch is just the right size to use as a wallet, checkbook case or for glasses, pens, feminine hygiene products, essential oils, computer/phone cords or all the little things that get lost in the bottom of your purse.